Downward Dog or Adho Mukha Svanasana; yoga pose in an easy to follow 5 minute video from Peter Blackaby on how to do this well known yoga pose. You don’t need to be tense to practice yoga. Peter is a well know and hugely respected yoga teacher, osteopath and author. He runs unit 4 in Brighton. I have been working with Peter for the last year, his approach is so centred and secure. I hope this video will help you. For my yoga friends it should be sharable from here. Thank you to my good friend Lisa McRory for being so patient with me! Do you know when you are tense? If you could stand in the middle of a wide open space and shout and scream as loudly as you possibly could for a second or two; you’d feel the tension of the effort to do this. The strain and tightness in the body. When that effort subsides would you “feel” the opposite? The lack of tension! Pete makes a great point about why we should practise asana like the Downward Facing Dog pose in his book Intelligent Yoga. He argues that they can teach us to differentiate the feel of a relaxed muscle from that of a working muscle but also of a working muscle from a tense muscle. Surely nobody wants to feel tense when practicing yoga? This group of postures has a precise purpose: to help us find support for the body through the skeleton and the floor to reduce muscular effort. I always felt that our bones and the support they gave us was very important. I particularly noticed this in my feet. What was at play here I’d ask myself. As I gravitated to the yoga practiced by Scaravelli inspired yoga practitioners, feet, bones and gravity came to the fore. What felt instinctual to my practice had meaning. Using bones, as opposed to muscles, requires no “effort”; and when we arrange our bones skillfully, muscles then have less work to do. It is not that muscles then have no work to do, but they will have less work. And in terms of efficiency, that is advantageous. I aspire to teach like this. I have taught yoga for many years and it amazes me how we continue to evolve with our practise when we are present in the kindest way to what we feel. I run small classes, teach workshops and retreats on the Isle of Wight. When you practice yoga do you know what your intention is?. Yoga practice and intention? What is my intention when I roll my yoga mat out? As a yoga teacher or a student, your intention will effect the outcome dramatically. – What we can learn at a Scaravelli inspired Yoga workshop about the meaning of intention in relationship to a yoga practice. 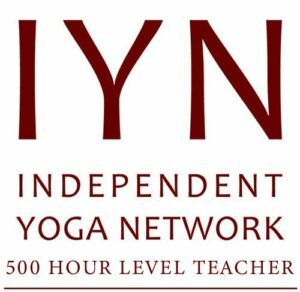 When yogi’s describe the meaning of yoga as connection – What we can learn at a Scaravelli inspired Yoga workshop. What is the meaning of Yoga? If there is a statement that my yoga students commonly use to describe Scaravelli inspired Yoga its ”Like doing yoga from the inside out”. Lemon tea or lemon water is lauded as a healthy drink. As a source of vitamin C lemon water can boost your immune system. There are others that claim its got Alkalising properties and that’s a very good thing! These views are widely debated now, for good reason. Your body is kept in a minutely fine balance and the real science of how its managed is very very complicated. But if you enjoy the taste of lemon water and feel that its good for you, your doing good. We’ve served lemon water to our yoga retreat guests for years.